AIDS Action Committee announces that the 17th annual Taste of the South End will take place Tuesday, March 6, 2012. Attendees will enjoy small plate culinary creations from at least 40 of the South End’s most vibrant restaurants. The popular event will also feature live cooking demonstrations, a silent auction and raffle, extensive wine tasting and beer sampling. 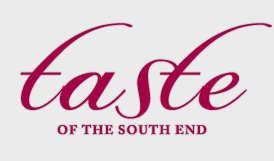 Taste of the South End takes place from 7 to 9:30 p.m. at the Boston Center for the Arts Cyclorama at 539 Tremont Street in Boston. Tickets are $95; VIP admission is $150. Proceeds benefit AIDS Action. 0 Response to "17th Annual Taste of the South End - 3/6"
Bring Top Chef to Boston! Clio & Uni Now Open!